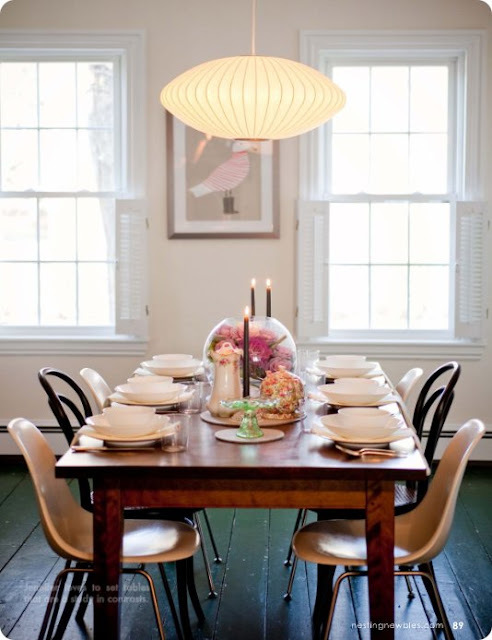 ok small space dwellers, i have a fab new online mag for you - Nesting Newbies. 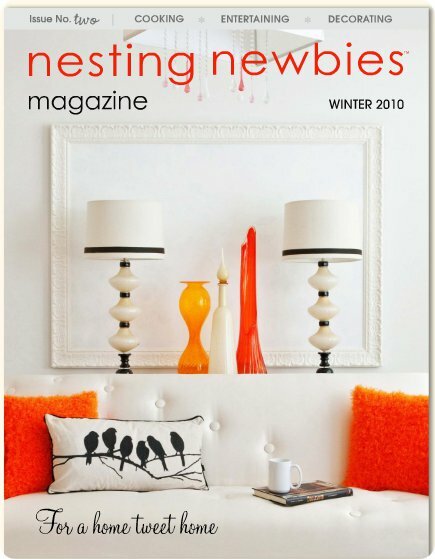 Launched a few months ago, Nesting Newbies is innovative and informative, we focus on ways to spark your creativity and make you and your home happy…YES! 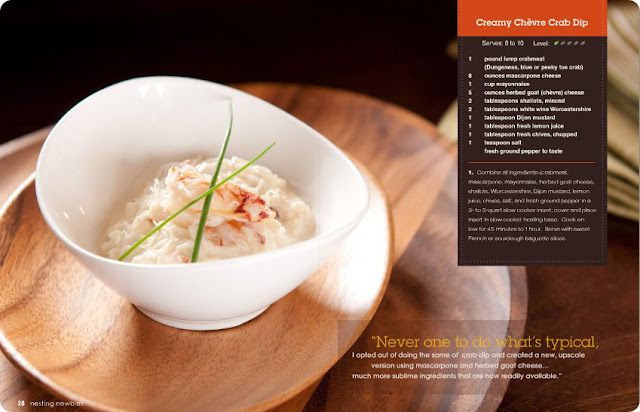 I e-flipped through the new Winter issue and loved the featured food sections and the design style - lovely! 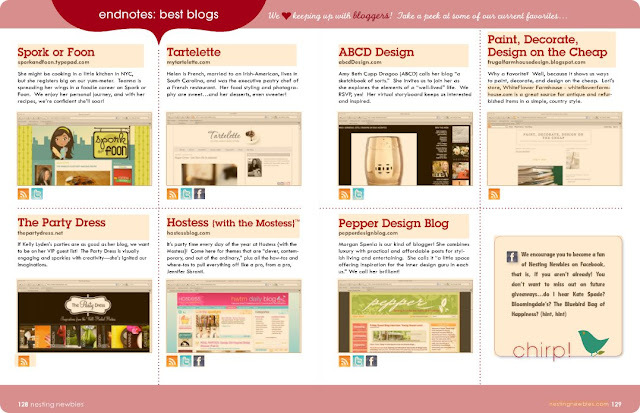 There are tons of great design ideas featured inside from both a functional and emotional point of view. 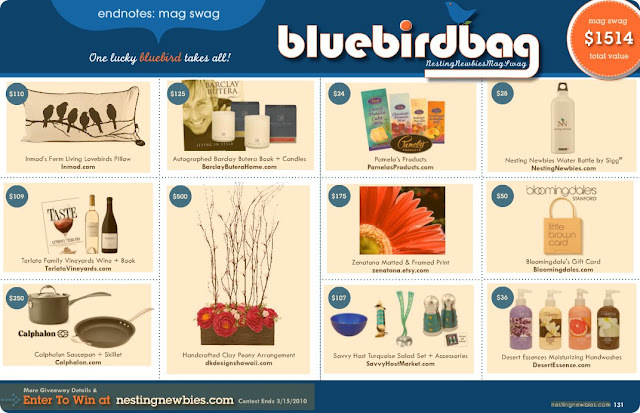 Loving the Endnotes section and Blue BirdBag sections, too featuring great blog reads and discounted goodies. Check it out here! Looks great...I'll have to check it out after this post! Thanks for sharing!